“What if I died and nothing happens? 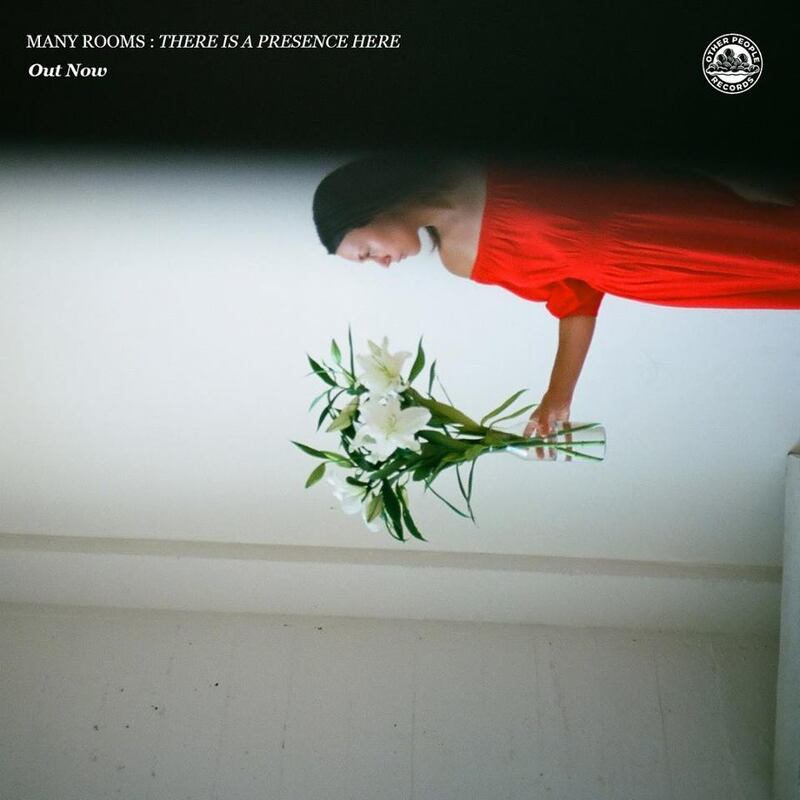 Will my soul decay with me?” ponders Brianna Hunt, the woman fronting musical project Many Rooms, on the opening track “Nonbeing” of her debut album There Is A Presence Here. The stellar opening track, with its contemplative lyrics, dreamy electric guitars, and atmospheric vocals, sets the tone and mood for this gorgeous collection of songs. Some of the tracks have more of a lo-fi tape feel then others, but the overall effect comes off as if one stumbled upon a radio station they weren’t supposed to find, from another world, on an old radio. While it’s easy to compare Hunt to other female singer/songwriter contemporaries such as, say, Julien Baker or Phoebe Bridgers, Hunt has an edge in terms of having her music presented in more than just a singer/songwriter format. For instance, while Baker and Bridgers are both fantastic songwriters in their own right, their production in the studio feels like just a basic presentation of singer/songwriter tunes. Hunt on the other hand, isn’t just writing great songs, but also thinking about the world she’s building around her music. Her overall vision feels more otherworldly then her contemporaries and she comes off more as singer/songwriter-post-rock. Hunt’s vocals may be whispery and soft throughout, but there’s an emotional urgency to both them and the quiet, dreamy musical backdrop that accompanies her. Tracks like “Nonbeing” and single “Which Is To Say, Everything” are abstract and atmospheric in arrangement, but they convey emotional weight all the way through. Of course, the album has a few standard singer/songwriter numbers such as “Dear Heart,” “Danielle,” and “The Nothing,” but even here, Hunt’s whispery vocals, with or without reverb, continue to carry the otherworldly atmosphere of There Is A Presence Here. On “Dear Heart” in particular, Hunt’s vocals are almost a cappella in the bridge, and the use of the silence and background noise delivers a powerful emotional punch. Also to note, Hunt’s performance on the majority of the songs feels very candid, as if she’s somehow writing poetic emotional lyrics on the spot. Two of the short songs included—“Untitled” and “When I Find You In The Flowers”—are probably the most lo-fi tracks on this collection. They sound as if they were recorded on an old tape machine or a cassette recorder in the back of the room, whether or not they really were. It’s moments like these, however, that add dynamics to the atmospheric otherworldly vibes and the beautifully candid feel of the album.